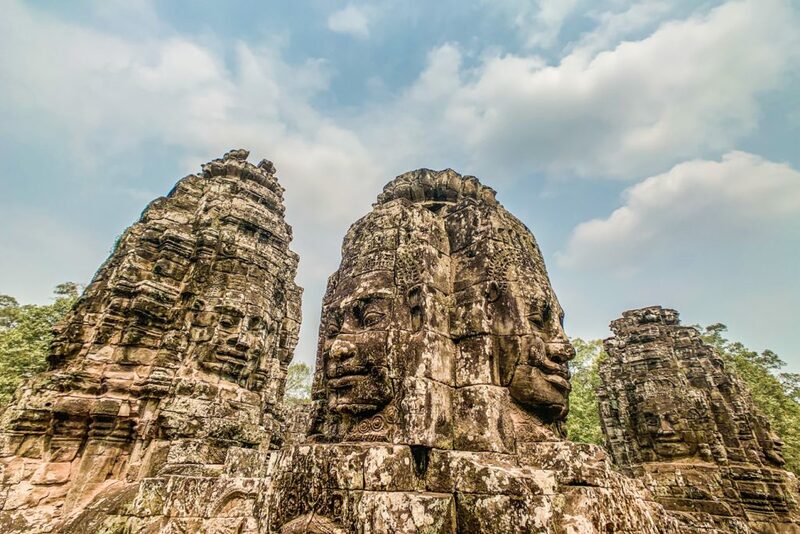 The most visited place in Cambodia, Siem Reap was one of the first places pinned on our travel map when we decided to wander around Southeast Asia. 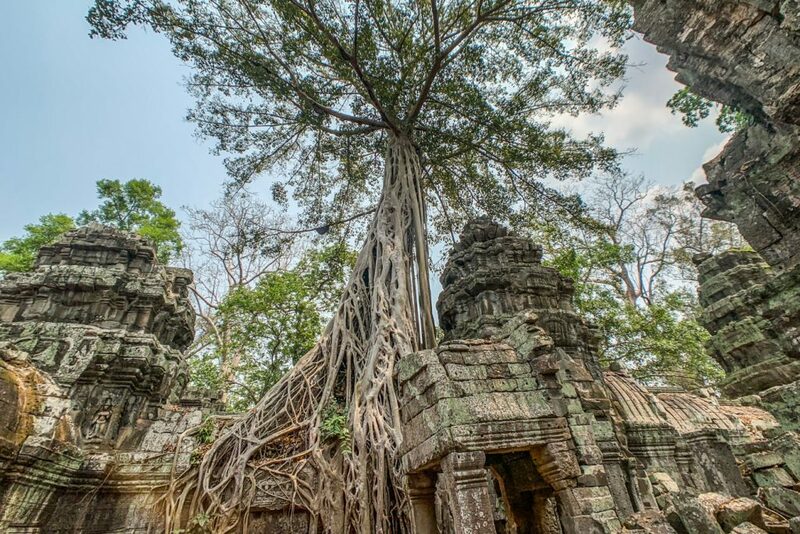 Angkor Wat and the rest of the temples here were on my bucket list for a very long time. 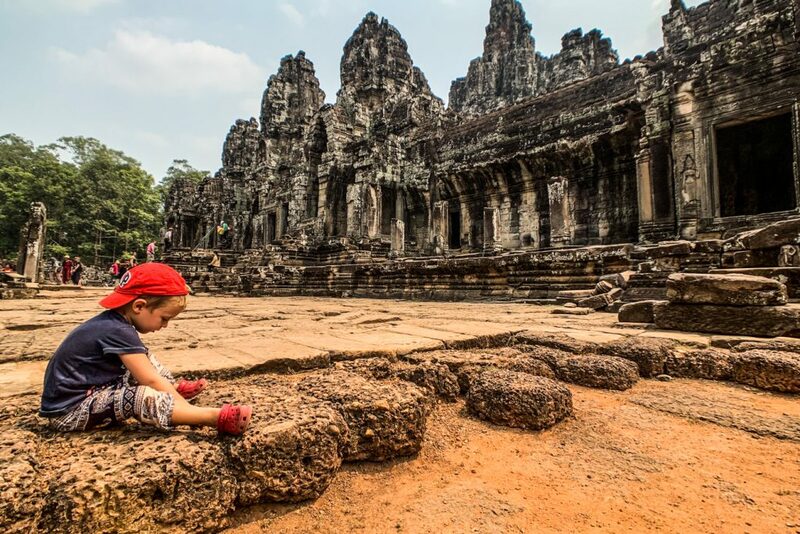 Very popular among young backpackers, not many people consider visiting Siem Reap with kids. 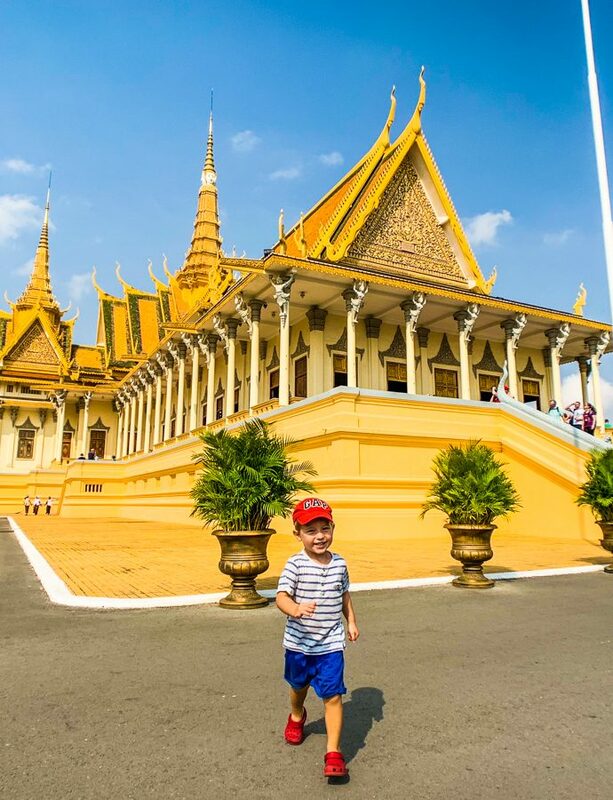 The incredibly hot climate, not so child-friendly attractions and the questionable hygiene conditions in Cambodia are some of the reasons many reconsider coming here with the little ones. 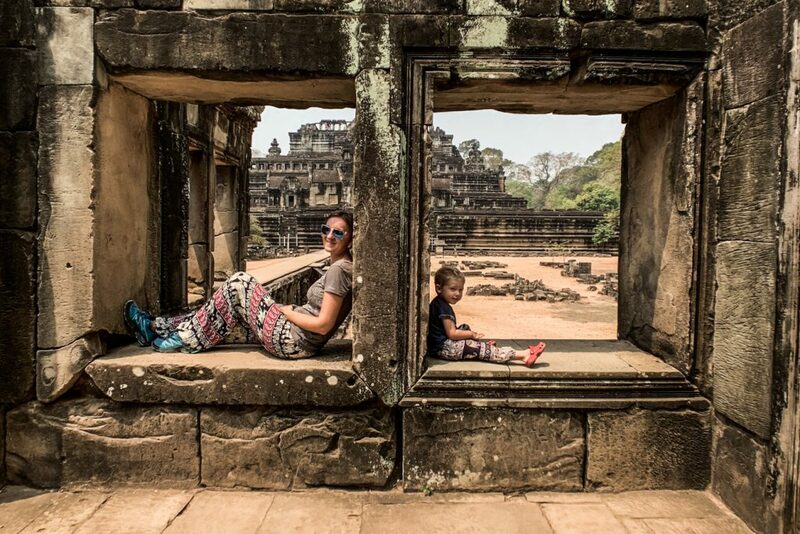 But we had a wonderful time visiting Siem Reap with a toddler. You just need a bit more patience and planning, plus you have to be relaxed and with a flexible schedule… pretty much like anywhere else you would go with kids. 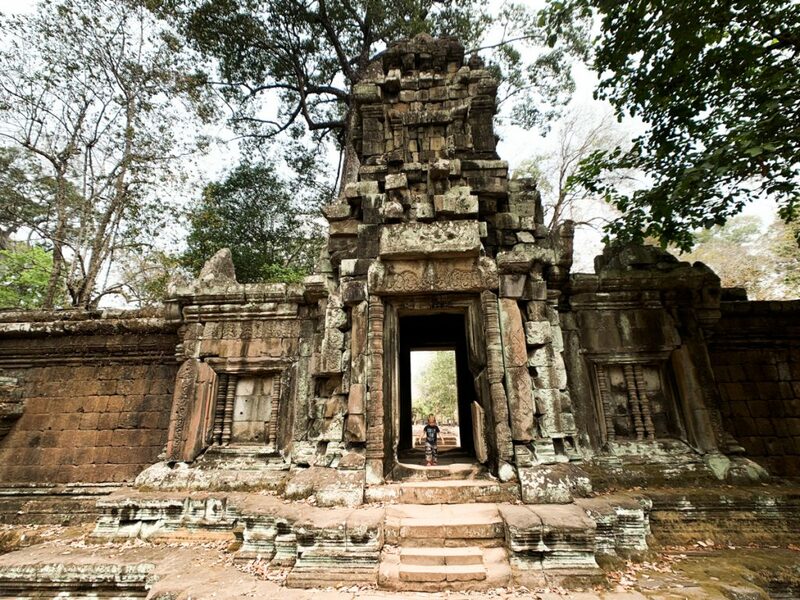 I have dreamed about visiting the Angkor Wat for years, so you can imagine my enthusiasm when we finally got there! It was even more impressive than I thought and the whole complex is huge! You can spend a few days there, without seeing the same thing twice, especially is you are passionate about history and archeology. 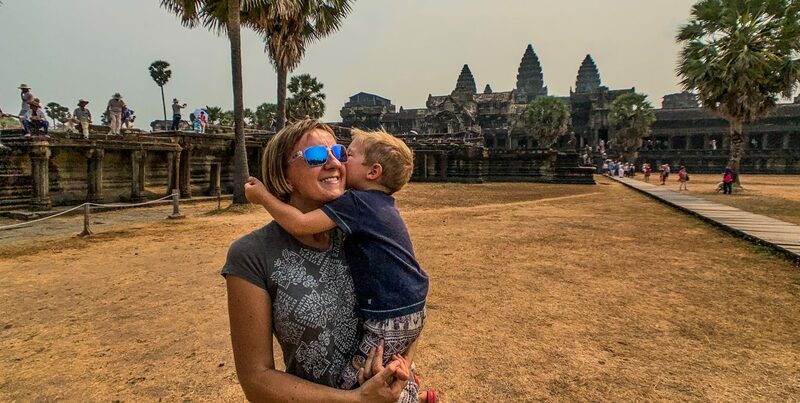 If you visit the Angkor complex with a toddler, you need to take into account the heat, crowds and rocky terrain. It is best to split the visit in a few sessions, otherwise the little one will lose its patience and get really cranky by the end of the day. Luckily, there are several ticket options available, not just for 1 day, but for 3 days out of 10, or 7 days out of 30. In my opinion, the 3 days ticket is the best choice, even though I have to admit we went there just twice… the third day would have been really boring for Eric and we easily managed to see the main locations by this time. The main Angkor temple is the most crowded and you might face a long queue if you want to go up the building; also, make sure you wear appropriate clothing in this case. Apart from this temple, Andrei’s favourite was Bayon, with its serene faces, while I loved the way nature takes back its place at Ta Prohm. This one is very famous after Tomb Rider was filmed here, so expect queues in a few very popular spots for pictures. On the other hand, Eric enjoyed the large spaces where he could run and explore by himself, like the Elephant Terrace. The best option to visit the complex is in a tuk-tuk; we took a tour from Sabara Angkor, where we stayed for a few nights, very well priced and with friendly drivers. 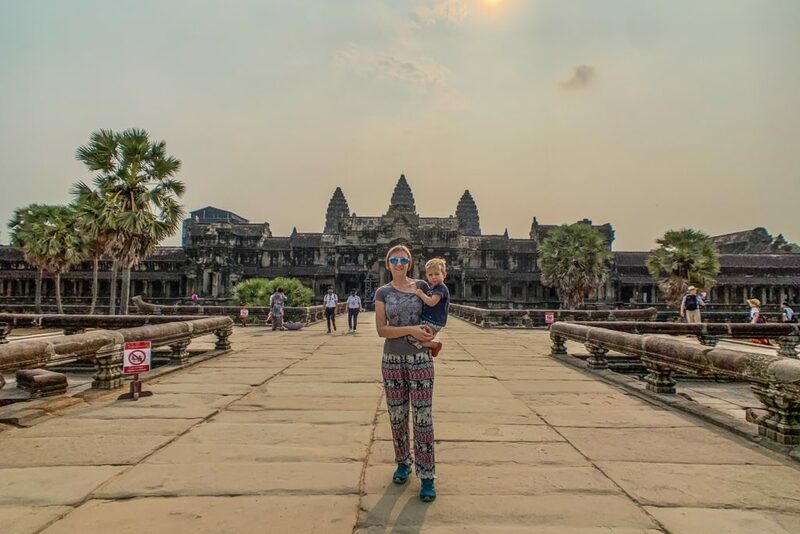 We opted not to get a guide, as there is no way to be able to listen to all the details while visiting the Angkor Wat with a toddler. His attention span is not more than a few minutes, so we preferred to do our homework online, before the visit. 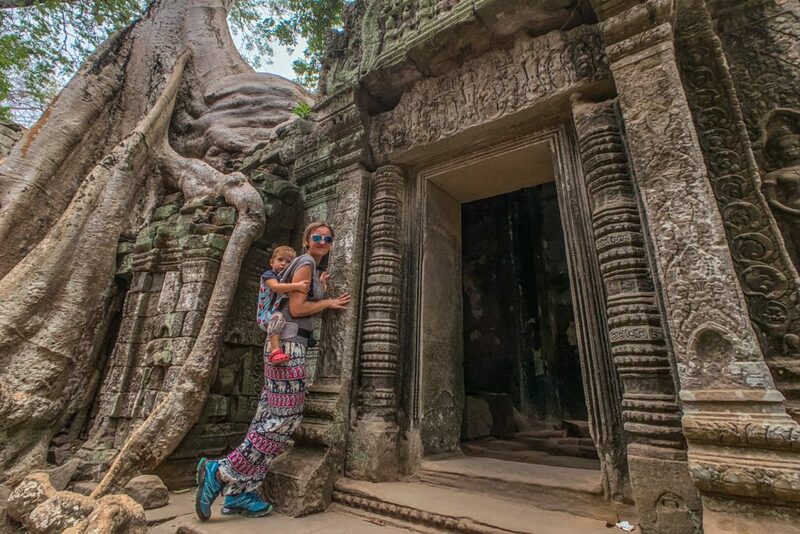 If you visit the Angkor temples with a baby or young child, a baby carrier is a must. This is not a stroller-friendly place and the tiny feet will quickly get tired. Plus that some areas are steep or very rough, not safe really for the little ones to wander around. We had our Isara baby carrier which was awesome, even though we had to use it just in short rounds, due to the heat. Inside the temple complex there are plenty of options to buy a refreshment or a snack, plus various local crafted souvenirs. Even though the prices will seem cheap, make sure you do bargain a bit, as the correct amount is usually half of what you are initially asked for. 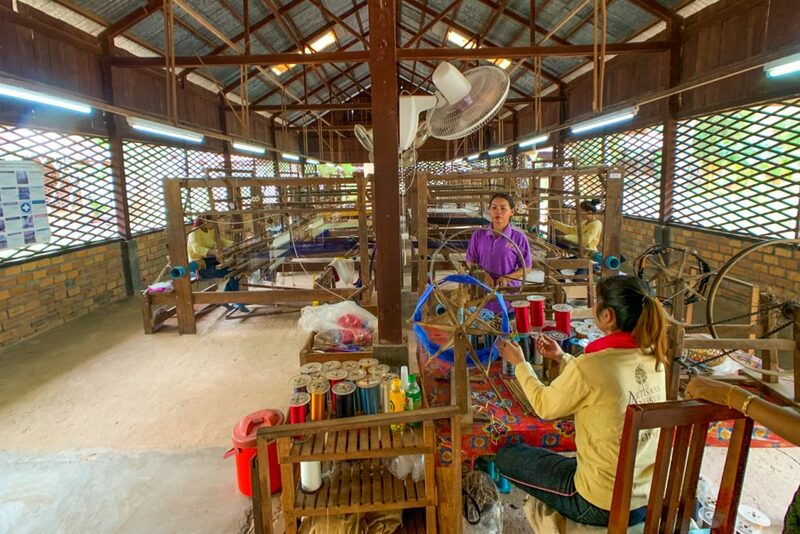 One of our favourites in Siem Reap with a toddler was the visit at the Angkor Silk Farm. 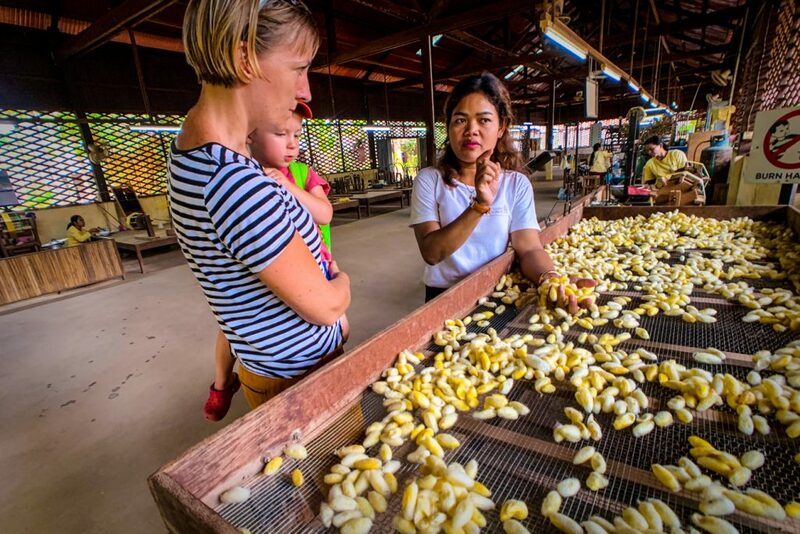 Eric was very curious to see the silkworms, touch the cocoons and see how the fine silk fibre is produced. The whole experience was highly educative for us too, as I had no idea silk production was so complex and meticulous. For sure I’ll never say again that hand made silk products are too expensive! Another very popular day trip is to the floating villages on Tonle Sap lake, the largest freshwater lake in Southeast Asia. For older kids, there are cooking classes, pottery workshops or horse back riding lessons. There are even spa saloons with kid-oriented massage sessions. 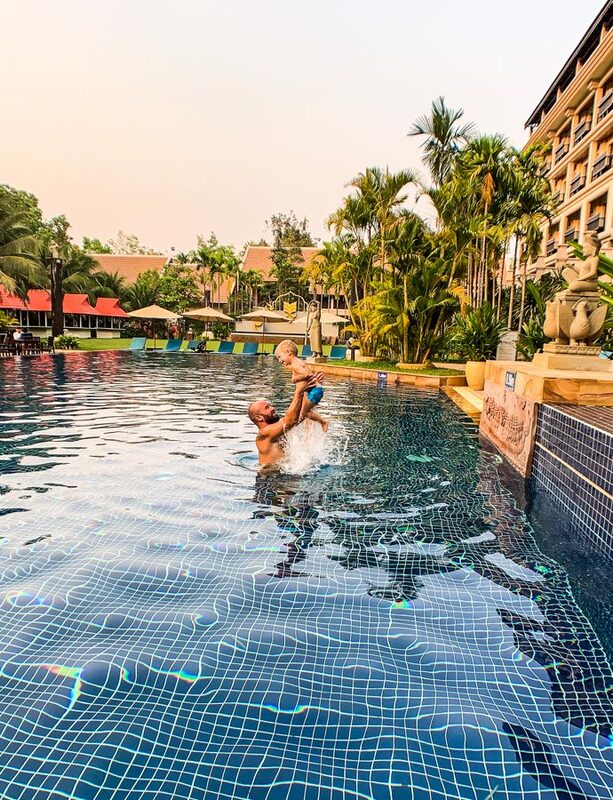 The prices are very reasonable and your kids will be welcome anywhere; khmer people are extremely nice with kids, maybe even too friendly for modern parenting principles. At some point, Eric got tired of all the attention and started asking me “What do they want from me, why don’t they leave me?!?”. In Siem Reap you can find any type of food, for all tastes and budgets. From cheap authentic street food stalls to pizza places, fancy asian dishes or luxurious restaurants, there is a vast selection to choose from. 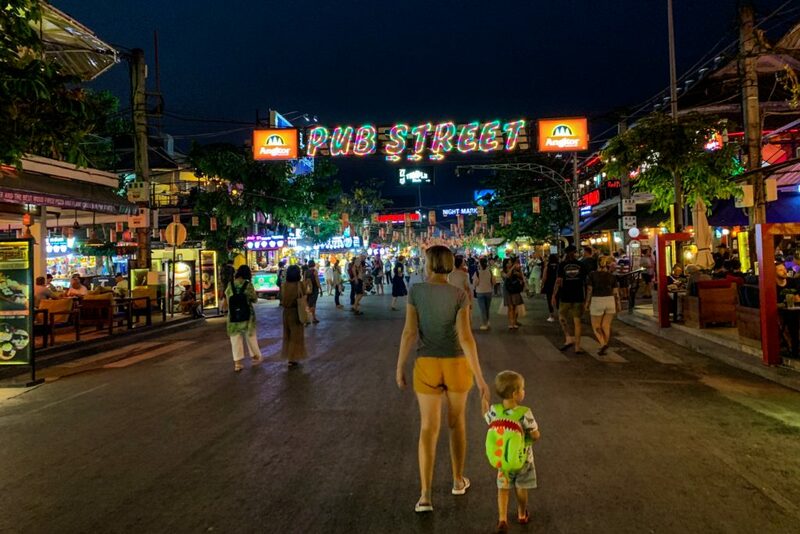 Most of the eateries are gathered around the famous Pub Street and Night Market. No worries if you are in Siem Reap with children, in most restaurants you’ll find something appropriate for you kid to eat. Pumpkin soup was Eric’s favourite and I truly think this is an international dish, as he tried it in each Asian country we visited. 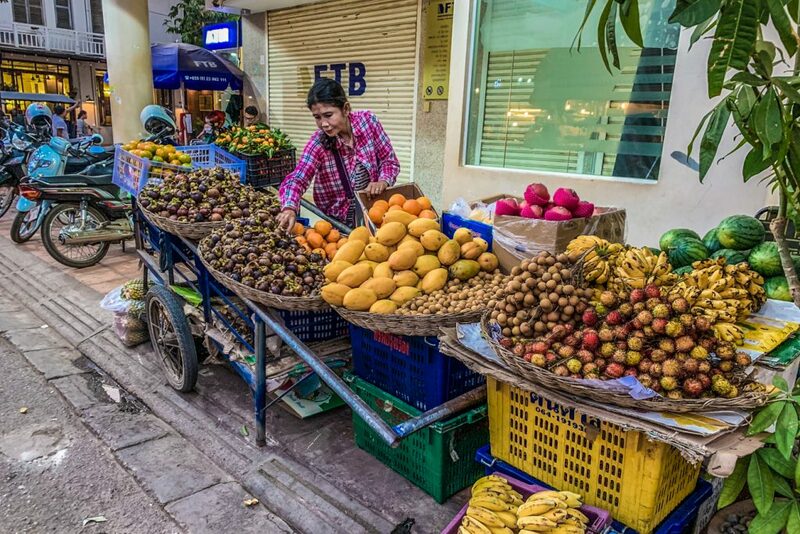 Plus that you’ll find here awesome tropical fruits, cheap and much more delicious than the dull, tasteless options available back home. 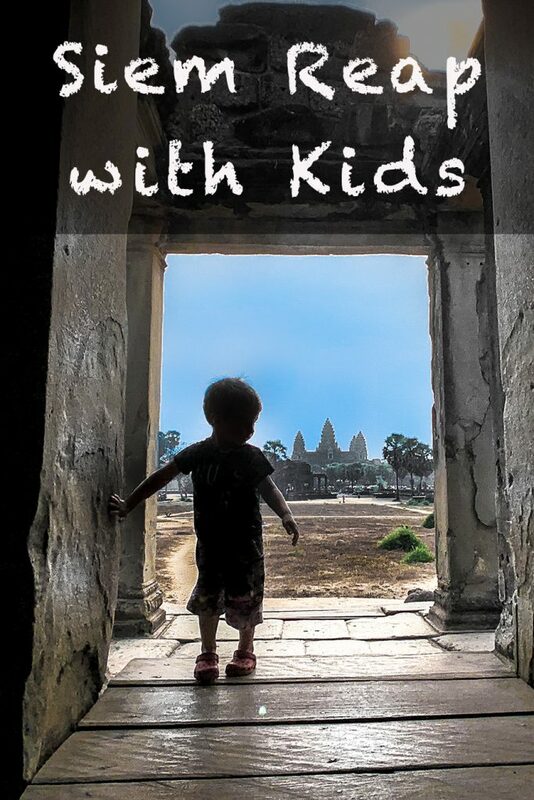 Since we were in Siem Reap with a toddler, we also searched for places designated specifically for kids. We found Bayon Pastry School Coffee Shop, a nice terrace to have breakfast, a light brunch or snack. The food is good, even though service is a bit slow. 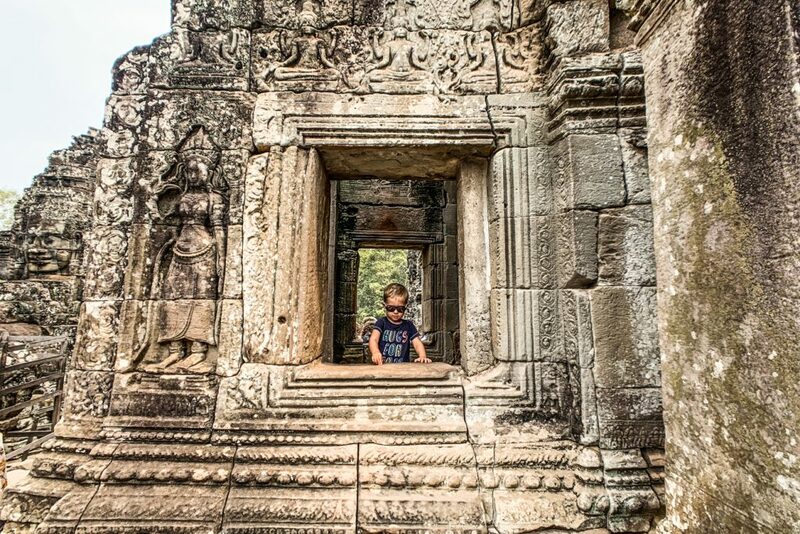 The best about Bayon Pastry is that they have an area arranged specifically for kids to play. With plenty of toys for Eric, we could finally have a few minutes of rest and silence. If you are a coffee lover like us, you might not like what you get in most hotels and restaurants in Asia. So pay a visit to Brother Bong Cafe, where we had the best coffee during our whole stay in Cambodia. 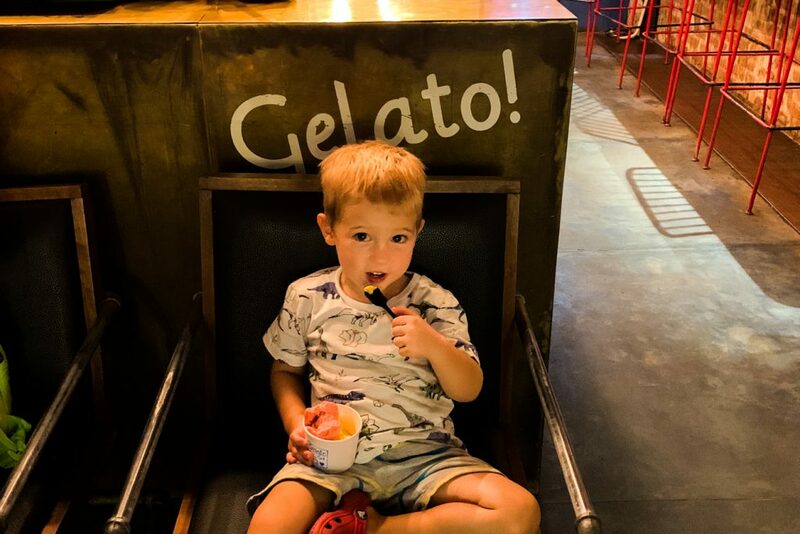 For the delight of the little ones, stop at Gelato Lab, right in the city centre. They have the best ice cream available in Siem Reap, much better than the famous rolled ice cream, mostly made of sugar. Unlike my usual recommendation, I don’t advise for choosing a hotel in the city center, especially when visiting Siem Reap with children. It is a crowded, noisy and dirty place, not really the spot to cool down after visiting temples. You can easily reach anywhere with a tuk-tuk and it costs no more than 2 dollars, so why not stay in a more laid back location. You can read more about our Siem Reap hotel recommendations. 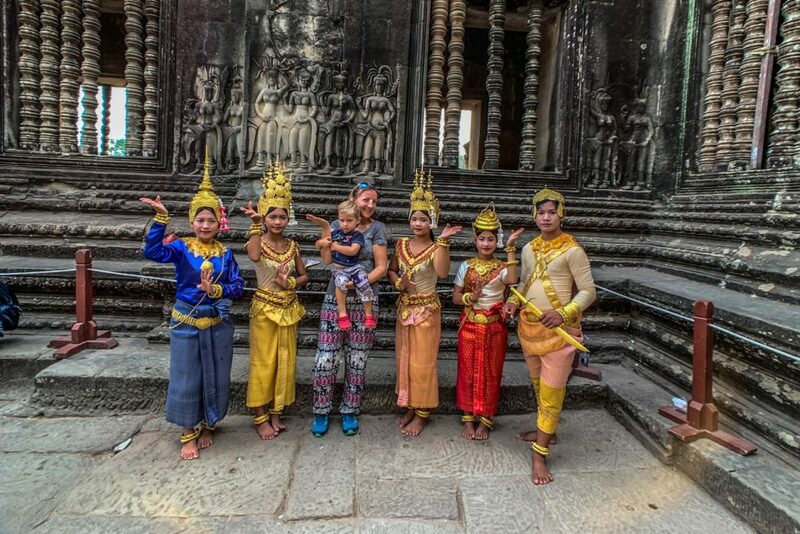 Have you been to Siem Reap and take your children too? Can you recommend other activities suitable for the whole family?